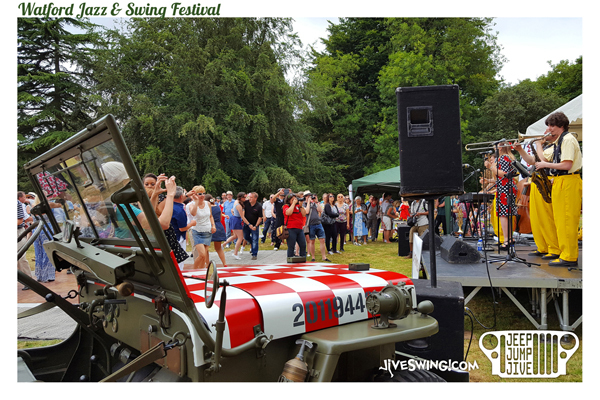 We DJ’d for the arriving crowds at the third annual Watford Jazz and Swing Festival in Cassiobury Park. 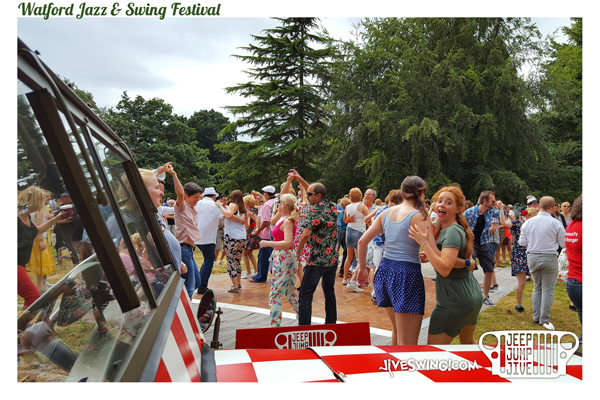 They were greeted with our From the Silver Screen set, full of uplifting song and dance numbers including Good Morning from Singin’ in the Rain. 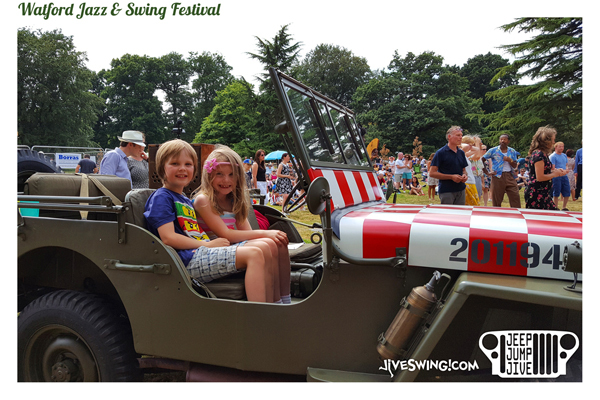 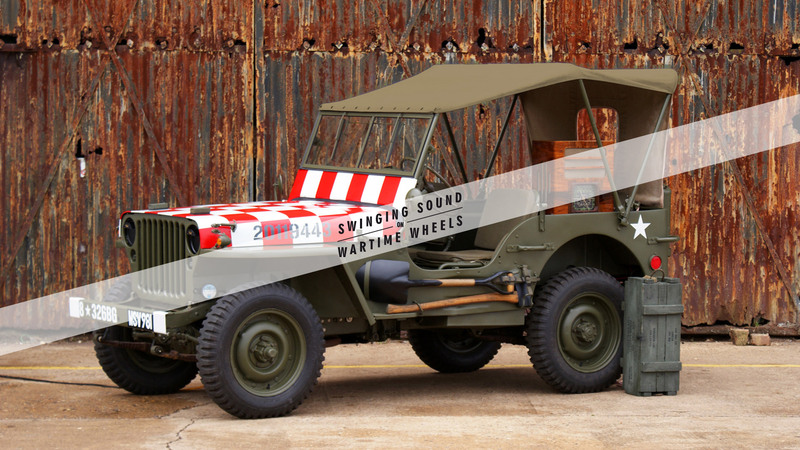 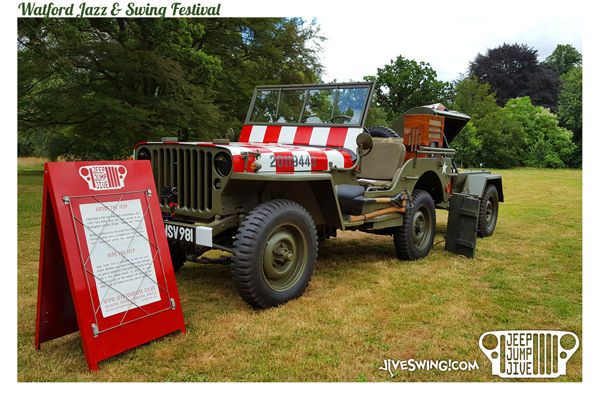 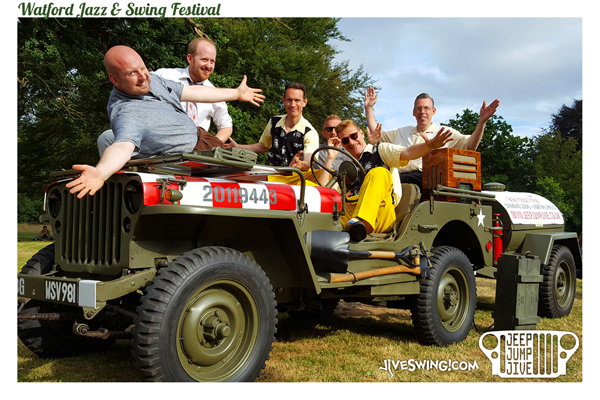 The Jeep stayed on site throughout the festival for photo opportunities and even welcomed Down for the Count and The Jive Aces on board!